Have you been burning the midnight oil? Partying all weekend? Or just affected by the hour of sleep we lost last night? Me too. Its Monday morning and Im soooo tired! I used to be able to cope with a few hours of sleep, and thought it was pretty cool that I could function on very little. However, since finding out that sleep deprivation leads to negative consequences on your mind (makes you more emotional, inability to concentrate, reduced memory), health (slows down metabolism) and appearance (ages skin, puffy eyes, dark circles, dull skin) I now always make sure I get my full 8 hours…. well 7.5 hours too be honest.. Taking care of your skin at night is just as important as your morning routine because skin cells recover and repair over night while you sleep. My nighttime routine is more of a ritual – I always take my makeup off, and prefer to use an oil which penetrates into the skin easier. 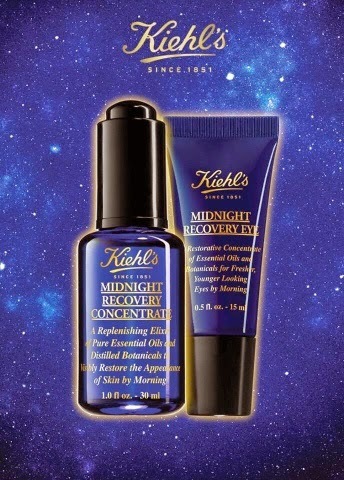 I absolutely love Midnight Recovery Concentrate from Kiehl’s which replenishes moisture, giving you younger looking skin by morning. It absorbs straight into my skin and smells amazing. Its expensive so a few drops go a long way. I warm in my hands and then gently press onto my skin. If you have time, massage it onto the skin to activate circulation. 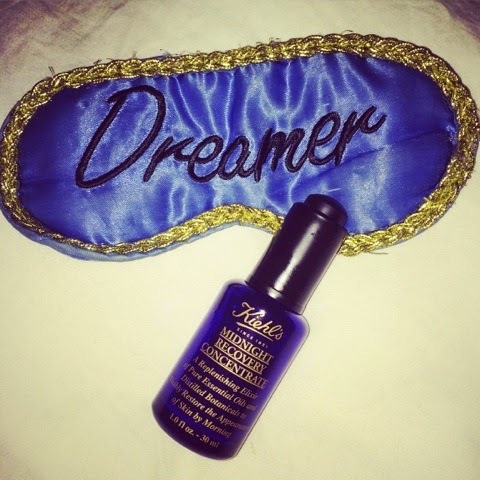 Midnight Recovery Concentrate is enriched with a blend of naturally derived ingredients – Squalane, Evening Primrose, Omega-6 Fatty Acids, and Essential Oils including Lavender, which of course aids sleep. Even though right now, all I can think about is crawling back under the duvet, at least my skin is hydrated, softer, and looks brighter.